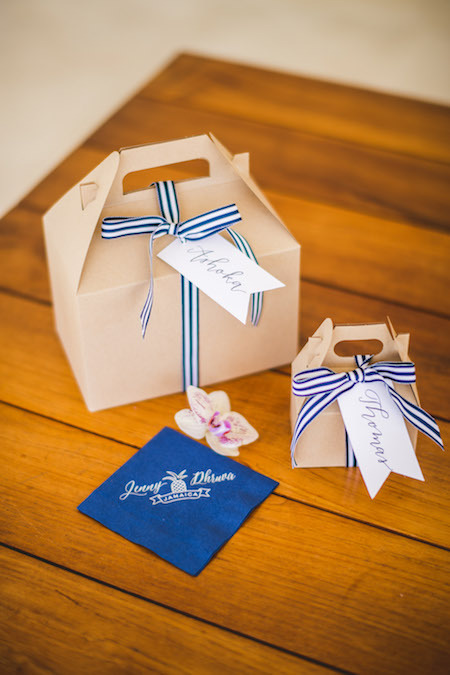 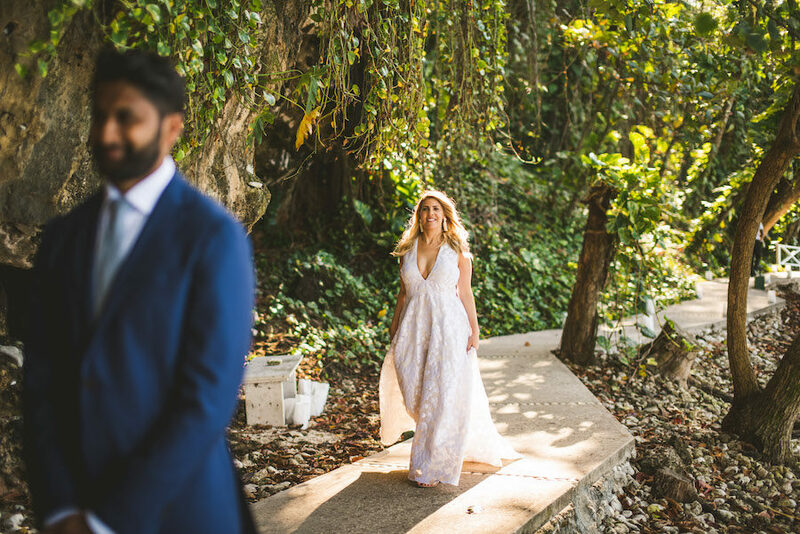 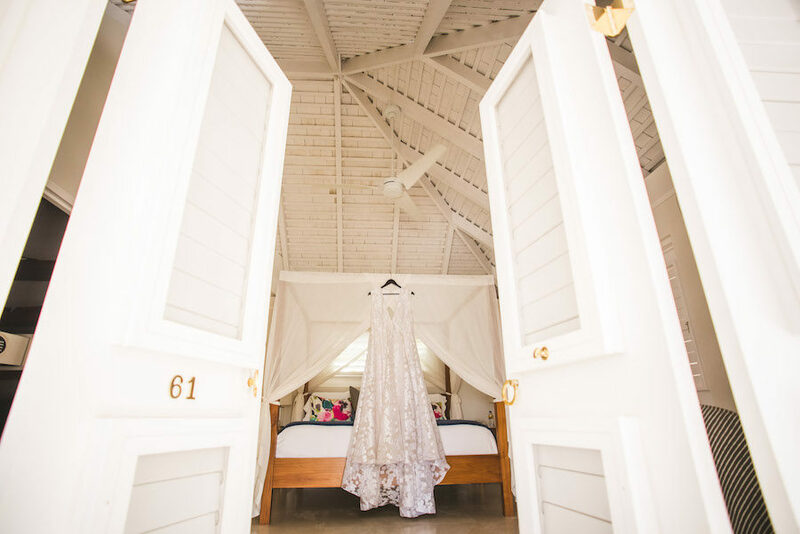 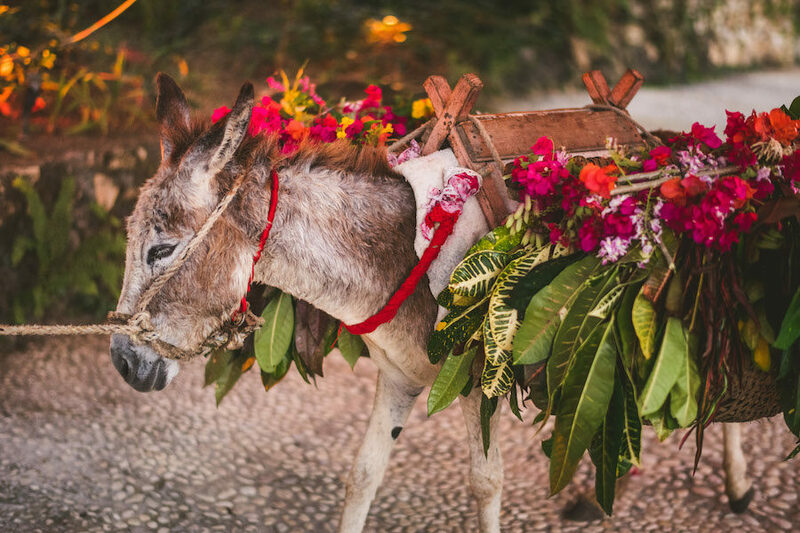 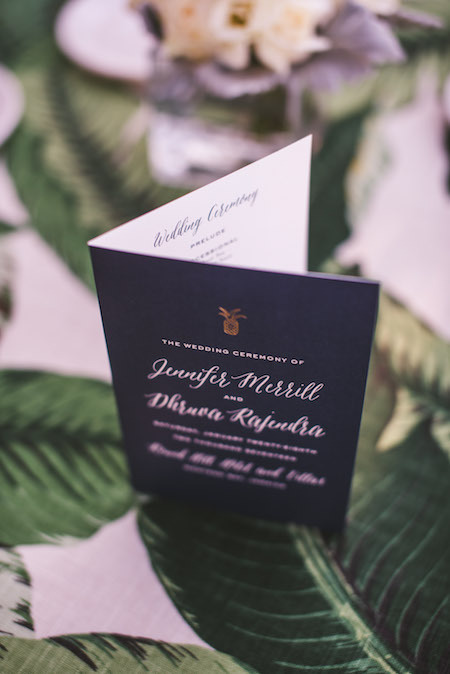 A tropical destination wedding in Round Hill, Jamaica was the perfect fit for this fun couple! 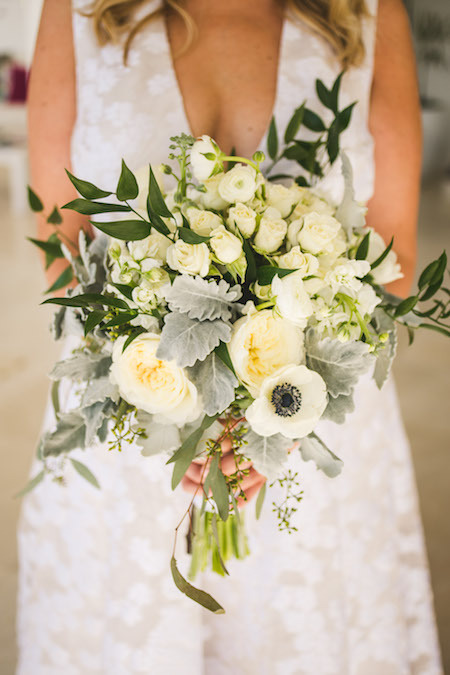 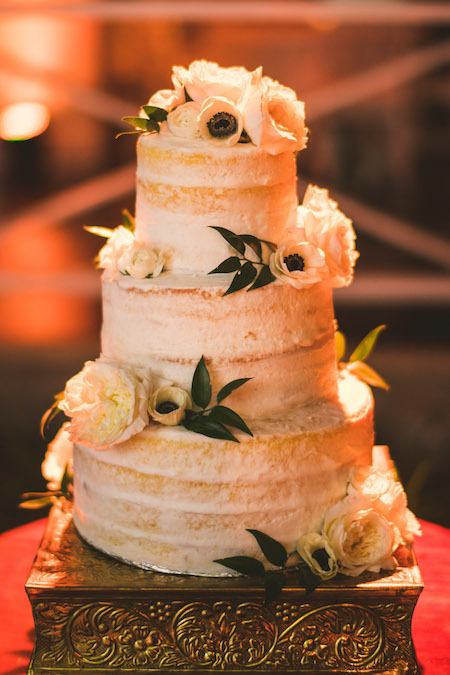 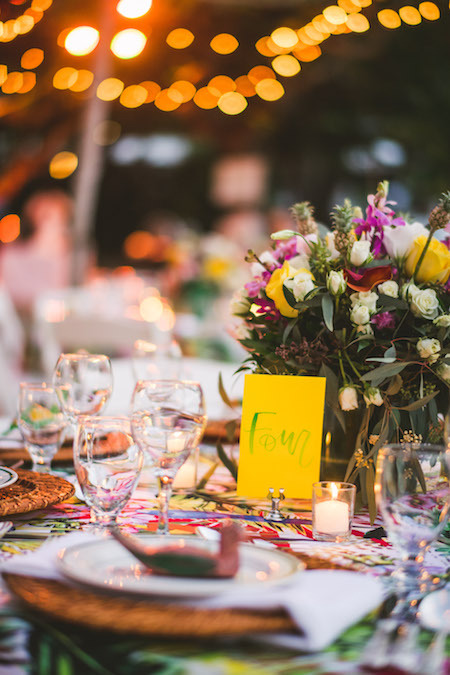 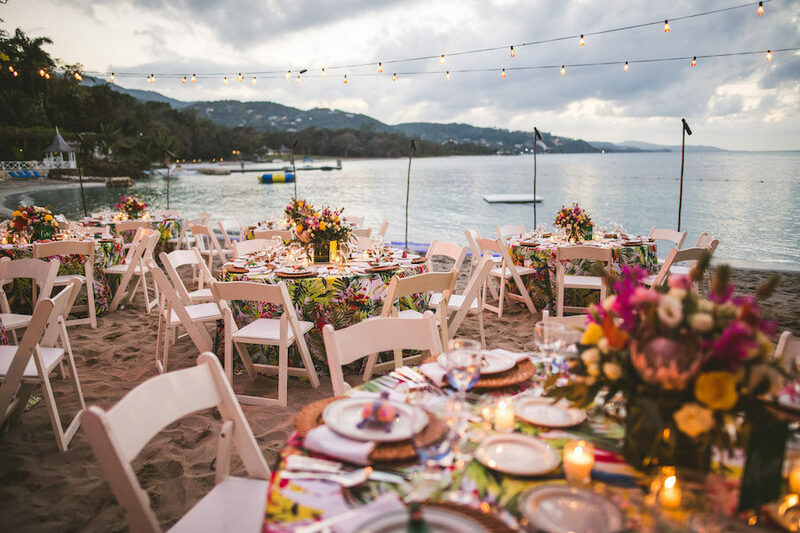 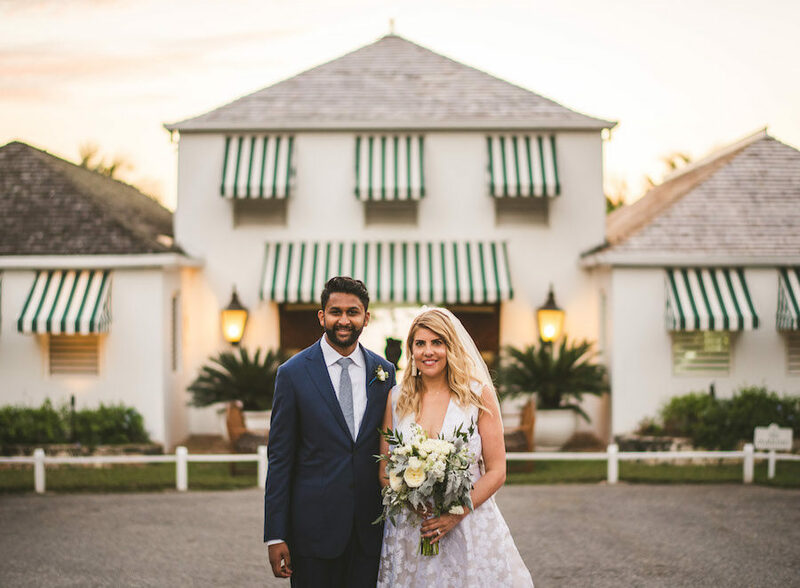 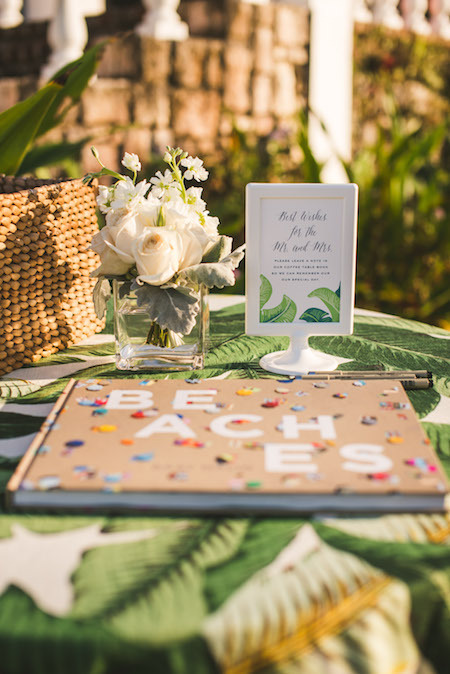 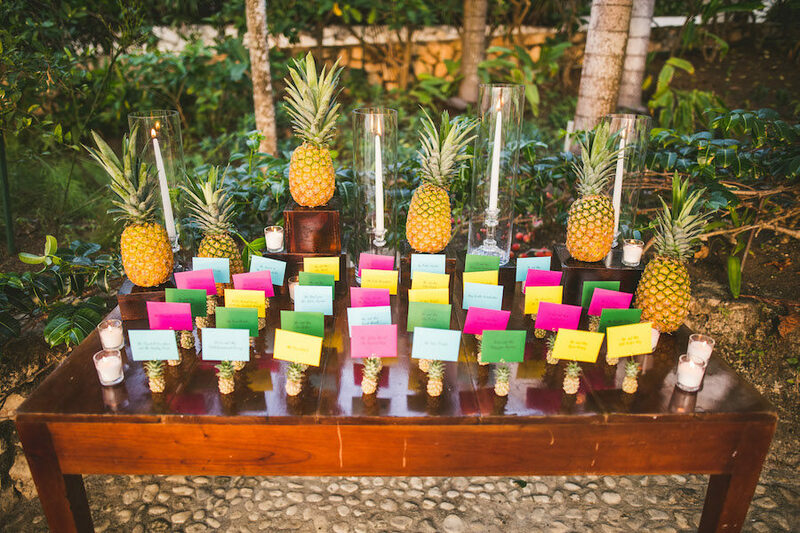 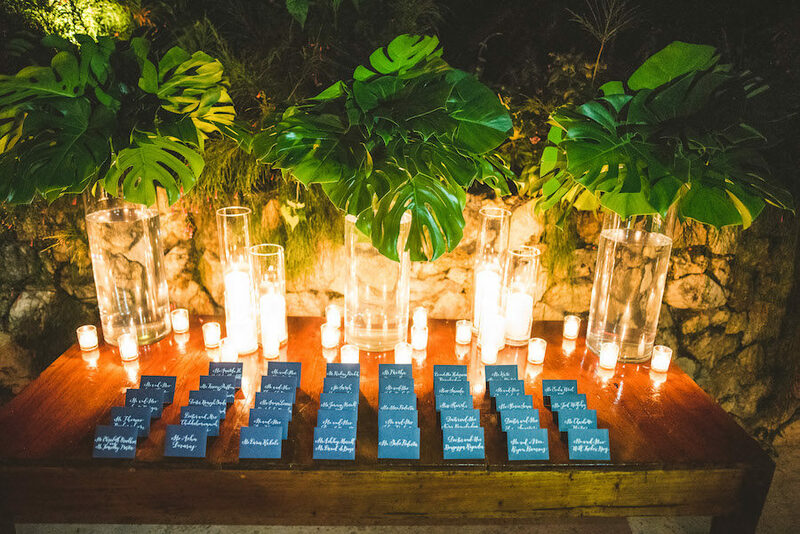 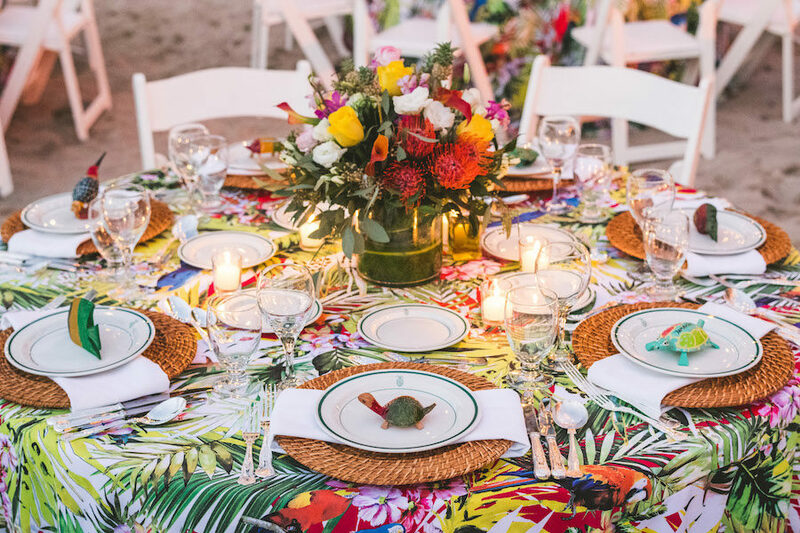 The inspiration for this wedding stemmed from the island, showcasing lush floral arrangements and vibrant décor. 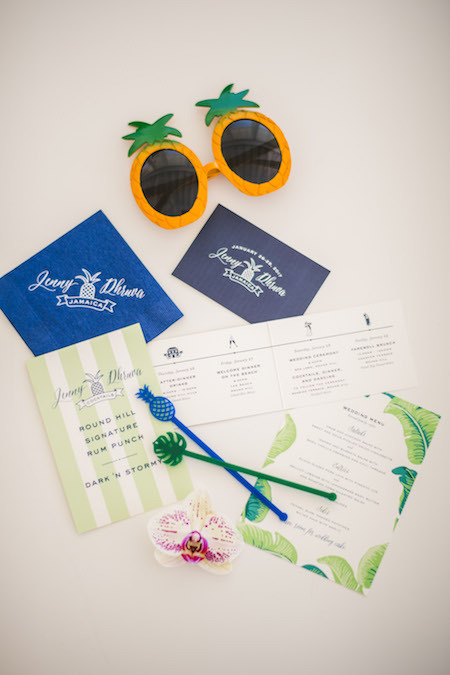 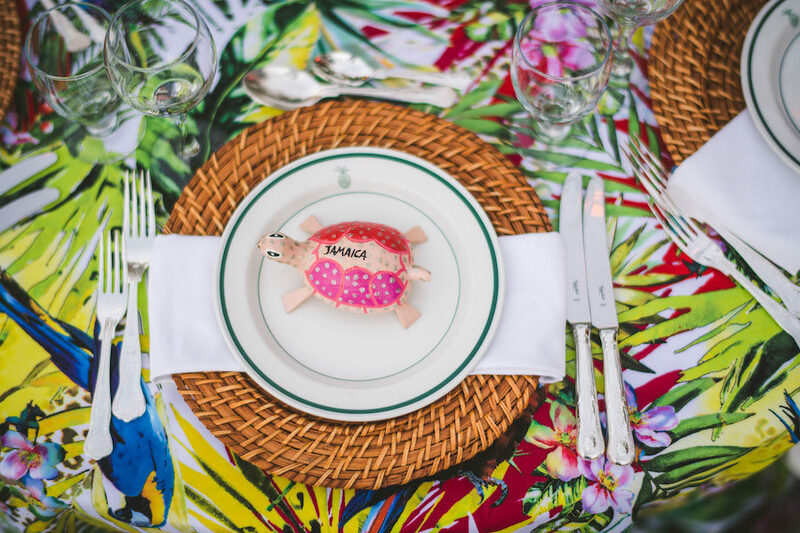 Guests were welcomed Friday night to an island-inspired rehearsal dinner, highlighting the spirit of Jamaica with tropical prints and bright pops of color. 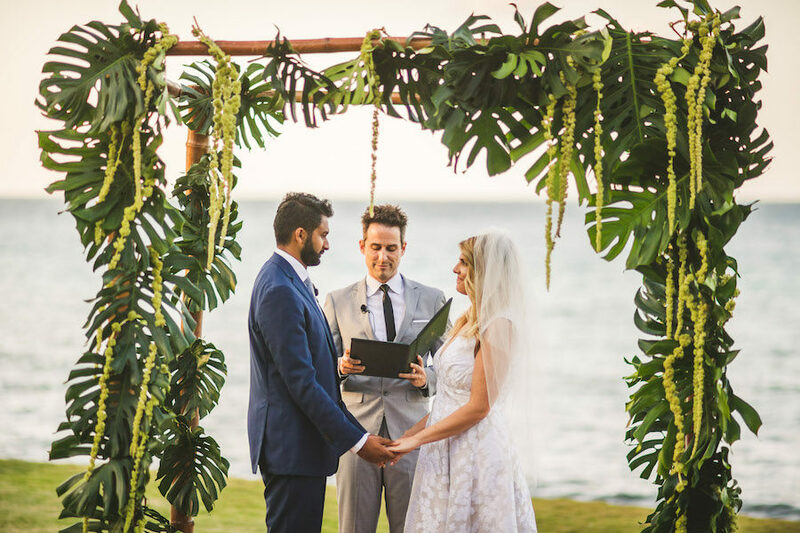 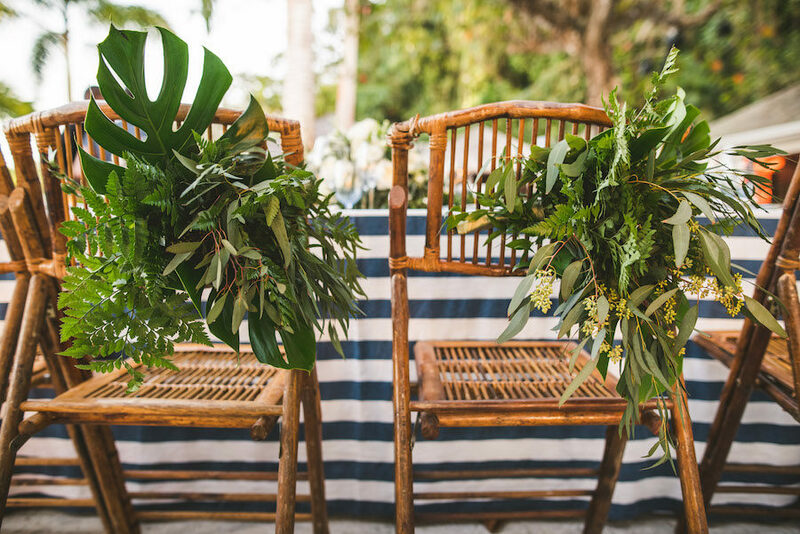 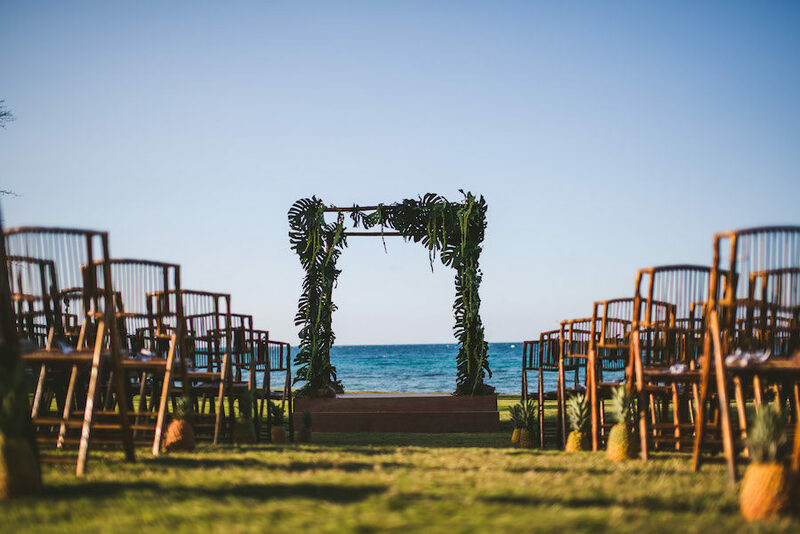 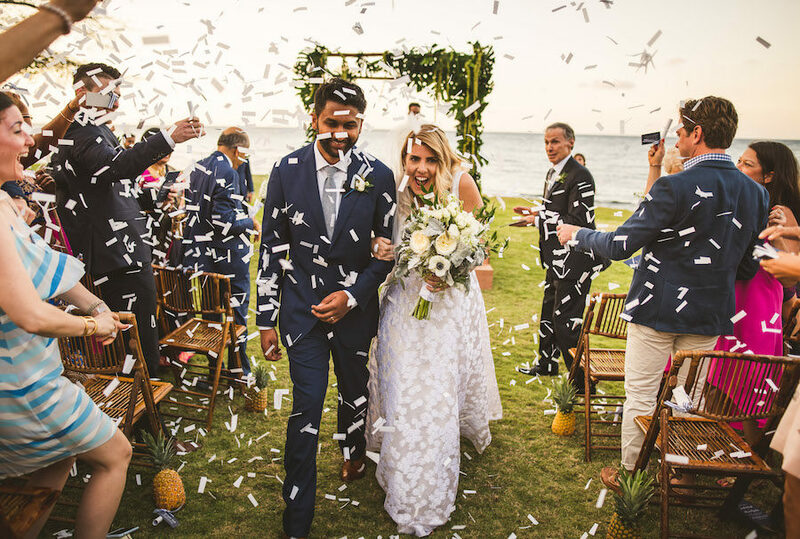 On the big day, the couple said their vows under an bamboo chuppah bedecked with monstera leaves and local greenery in front of the ocean. 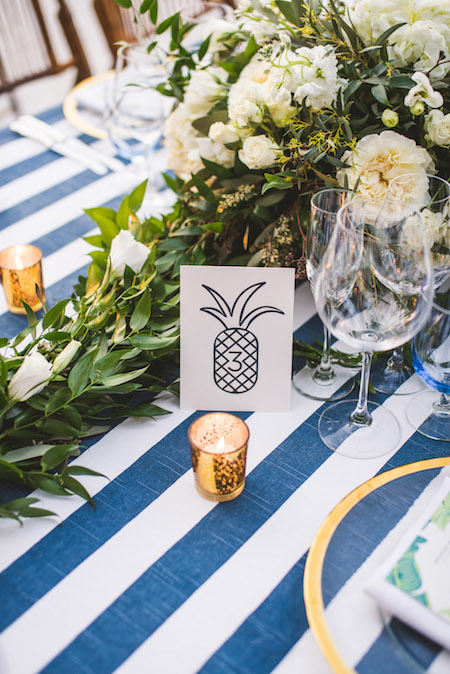 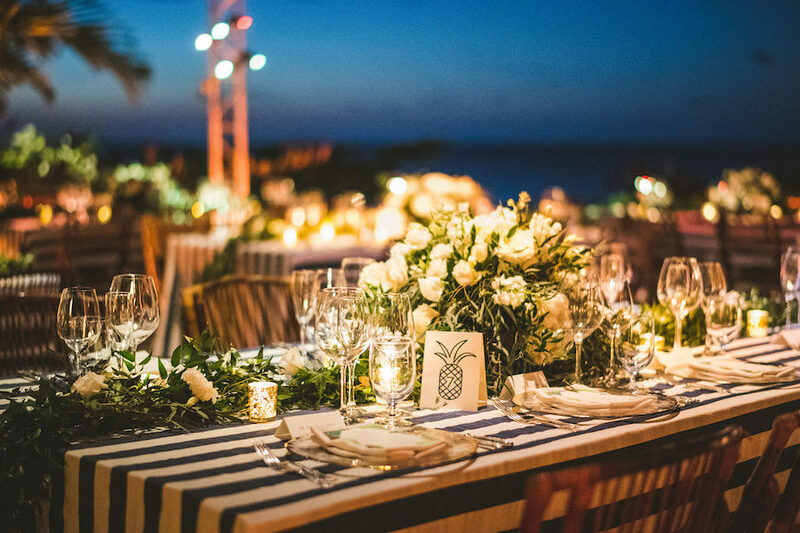 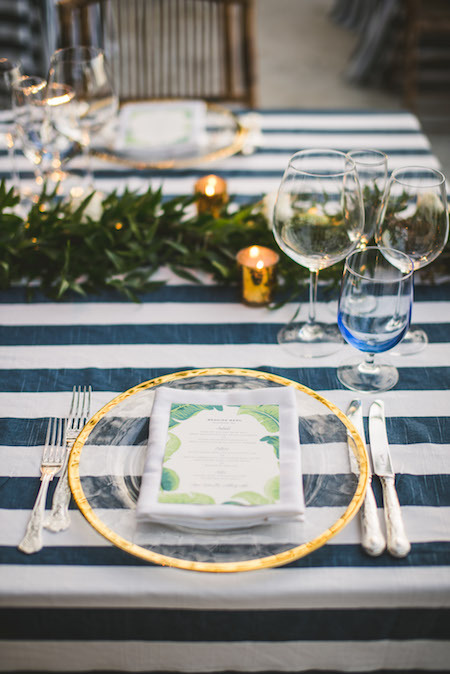 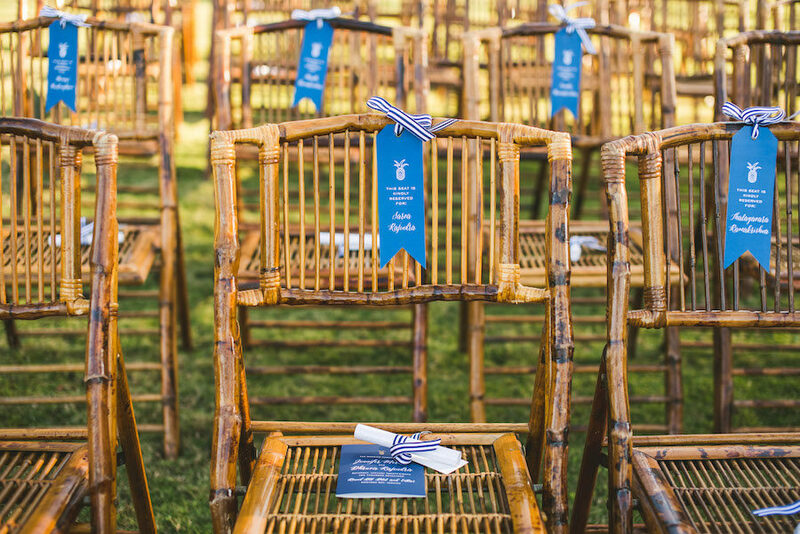 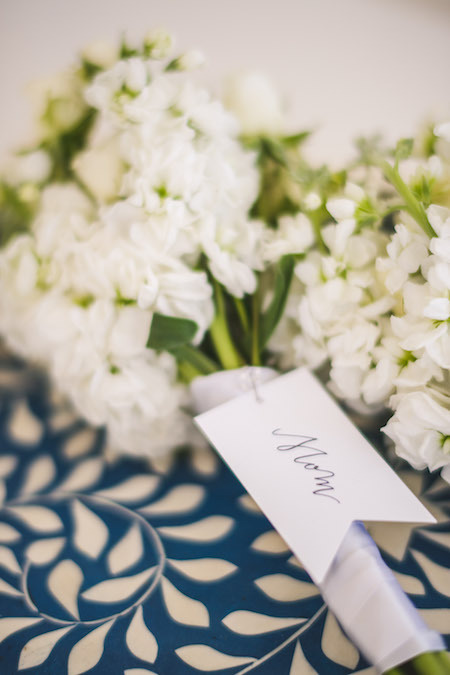 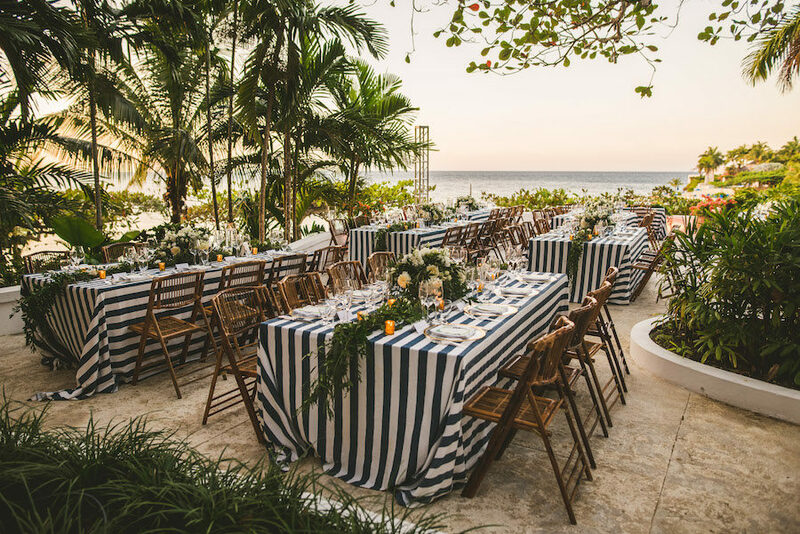 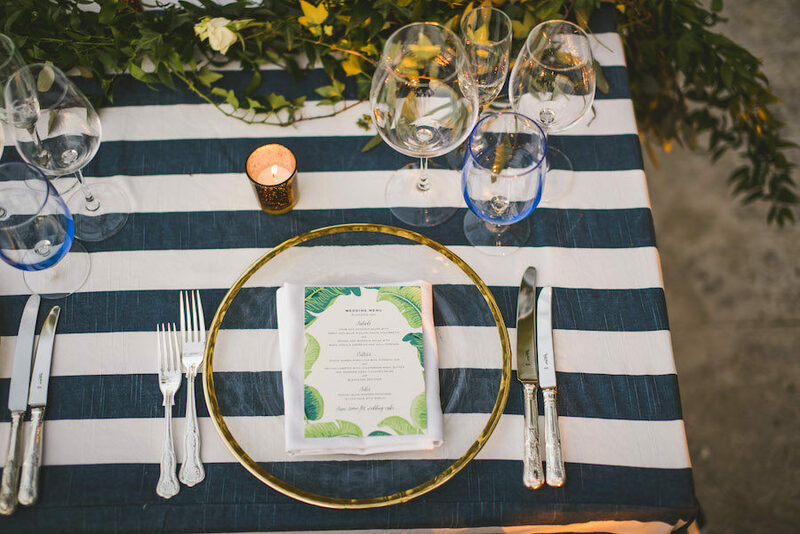 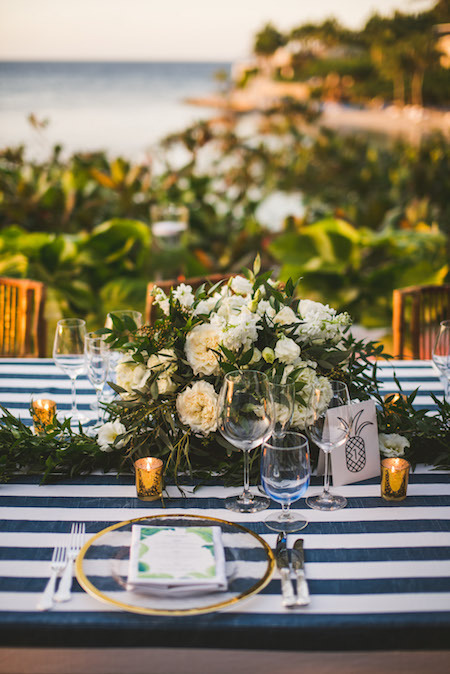 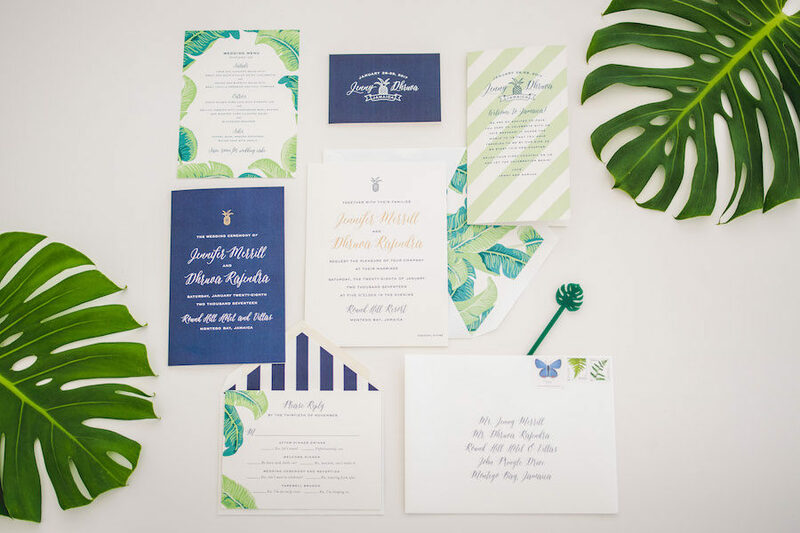 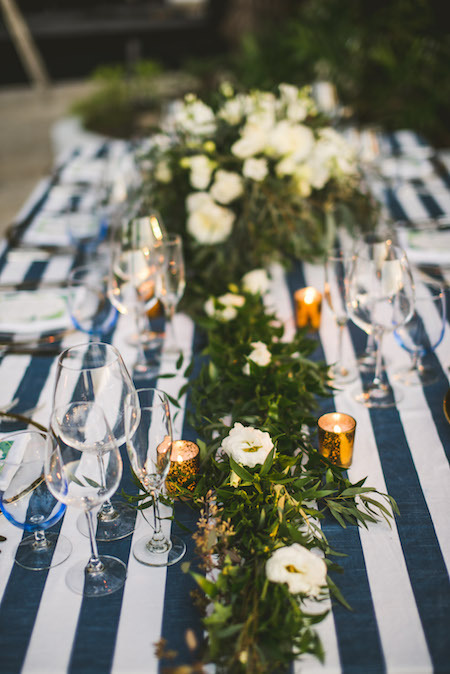 The reception was light, beachy, and modern, with blue and white striped linens accented by bright green floral arrangements. 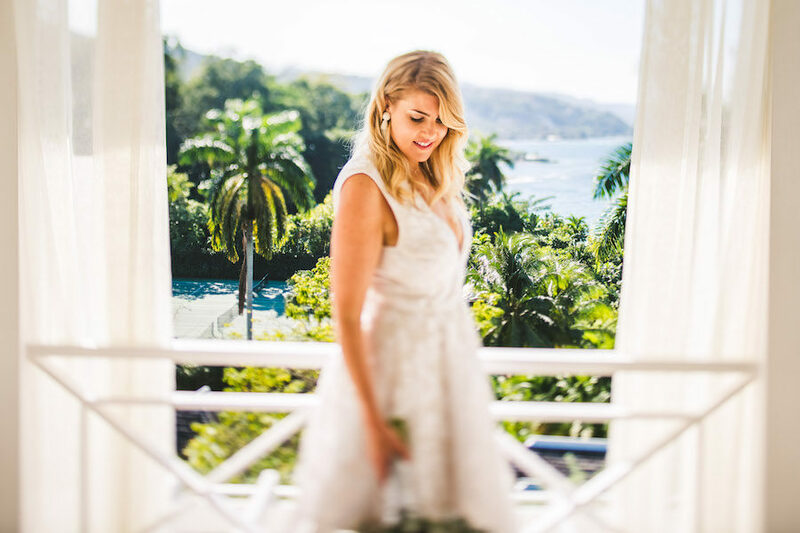 The ocean provided a stunning backdrop. 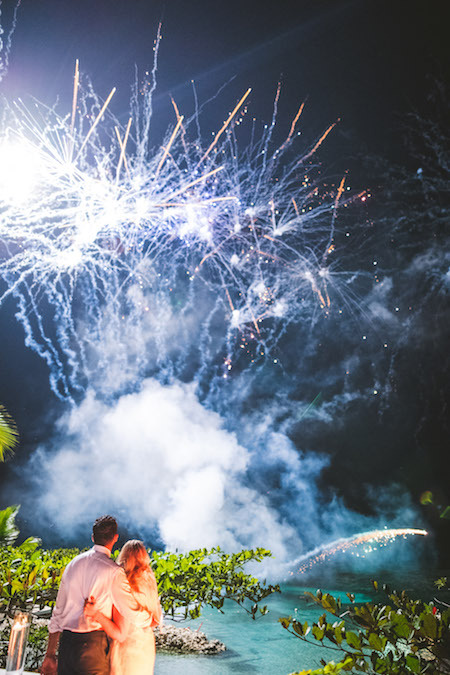 The night ended with a bang – a fireworks display on the beach. 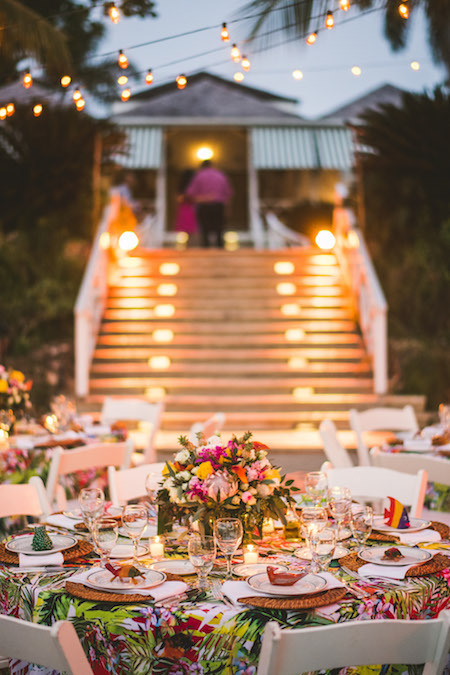 This was certainly an evening guests would not soon forget!